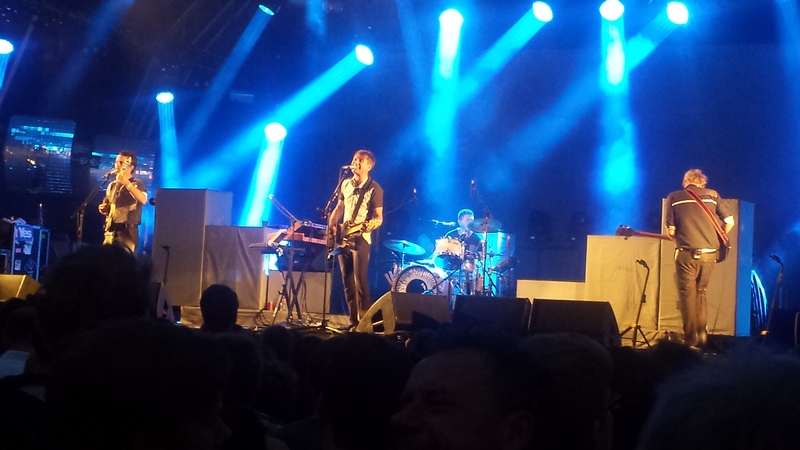 Franz Ferdinand were brilliant at Somerset House last night, There, I said it. Straight in to the top 5 gigs of 2014 for me, and good to see the chaps haven’t lost any of their lustre since the last time I saw them, a rather frightening eight years ago. In fact, I’d wager they’re better than ever. Alex is still archly dramatic (and devastatingly dashing), Nick attacks that ukulele-height guitar like a frenetic George Formby, Bob – rock’s teddy bear of bass – continues to look adorably bemused by his bandmates while laying down top rhythm, and Paul still bashes those skins to within an inch of their lives (and I particularly liked the Shack Up break you sneaked in there, sir!). Standouts included old favourites Michael (still conjuring up the Optimo hedonism after all these years), Matinee and Take Me Out (probably the most rollicking singalong I’ve seen this year), Can’t Stop Feeling and Ulysses, which (possibly – I had drunk a bit by this stage) segued into the set closer Outsiders by way of an incredible ‘all hands on deck’ group drum-off. Jolly times at the encore too – it’s always better on holiday with Jacqueline, and Lovers and Friends jumbled up with a bit of Fat White Family’s Touch The Leather worked a treat too, before a ferocious This Fire finished the night. Actually, I’m conscious as I write this that I said pretty much the same thing – “It was ALL good” – the first time I blogged about the Franz after their stunning Astoria gig in May 2004. Delving into the archives shows that this is indeed true, and so for comedy cringe value, I post that “review” below. “Well, it’s morning (actually, it’s almost afternoon – yikes, that’ll learn me for sleeping in) and I have to confess that, sadly, I am not Mrs Alex Kapranos. Yet. 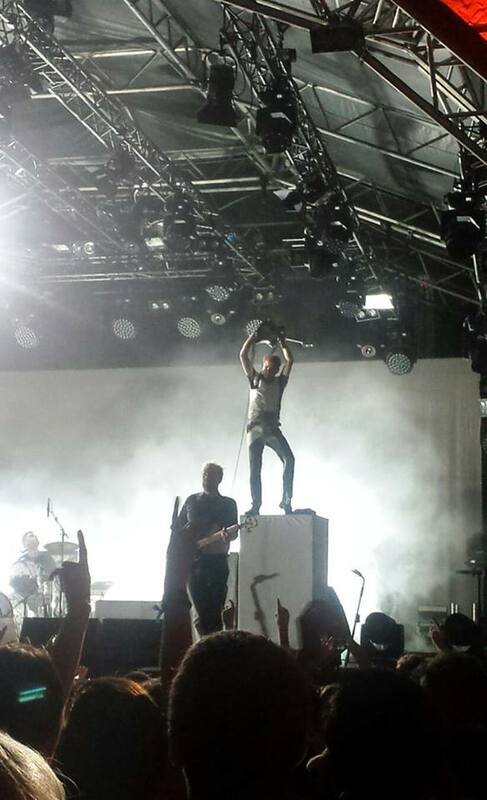 Anyway, to the gig, damn it, and what a gig – unanimously agreed to be the best of recent times. It takes a lot to keep this jaded old nag bouncing all night but the Weegie lads accomplished the feat. Pal Matty noted, and I agree, that they’re probably not quite at the top of their game just yet, but when they do reach their peak – and that moment can’t be far away – it will be a sight to behold indeed. Not that I’m dissing any aspect of last night’s performance. Oh no. Musically, they’re tight as you like (all hail brilliantly frenetic guitarist/keyboardist/vocalist Nick McCarthy and rock-solid drummer Paul Thomson), and their on-stage presence is a sheer delight – the perfect blend of camp Jagger-esque swagger and endearing “All this? For us?” bemusement. Lover of books, beer, chilli & records. Proud Peckhamite. This entry was posted in Optimo, Post-punk, Rock / pop and tagged Franz Ferdinand, Optimo, Somerset House. Bookmark the permalink.